Dayton pattern single bit axe with a 36" curved wooden handle. 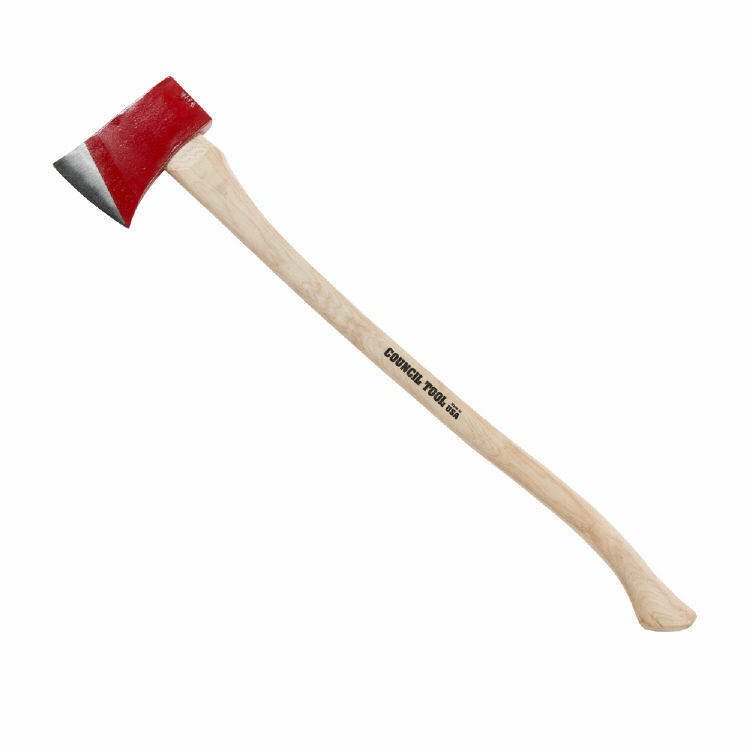 A full sized felling axe for general axe chores. Cutting edge is approximately 4.75" of overall length and the poll is square. Hand sharpened, tapered bit for cutting and splitting. Body coated with red enamel and the cutting edge in clear lacquer to deter rust..